Ressource is a pioneering French high-end brand of decorative paints favoured by passionate interior designers. Top names from Architecture, Design and Fashion, such as : Sarah Lavoine, Serge Bensimon, Philippe Model, Robert Gervais, Patrick Baty have all fallen in love with the 100% French sustainable brand. Ressource combines heritage and modernity, savoir-faire with innovation. Our products are simple to use and our selection tools will help you in your choice, putting color at your fingertips. With Daniel Chauvin and his daughter Pauline at the helm, Ressource is one of the last independent French paint manufacturers. Ressource boasts a long history of mastering colour as it was created by the Société Provençale du Blanc Fixe des Ocres et Couleurs. 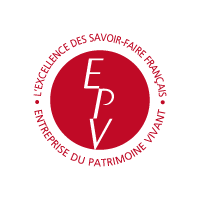 Founded in 1946 for the purpose of ochre mining in the Roussillon area in Provence, the company, renowned for its traditional artisanal expertise, was initially aimed at professional customers only. The roots of the company explain its great expertise in mineral pigments as well as its sensitivity to environmental issues, long before modern regulations were implemented. Ressource is also committed to re-establishing the original prestige of paint by reconciling professional expertise and creativity and opening it up to a larger public. Thanks to its background history, Ressource has a great command of the effects of traditional paints such as old-fashioned and lime coatings, which, among other things, made its reputation. 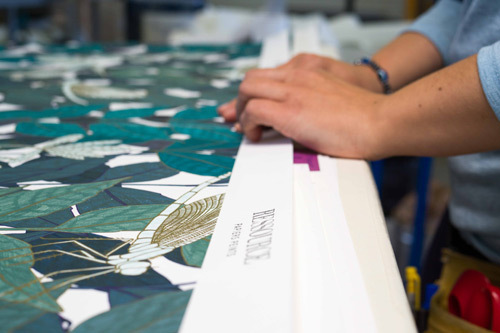 Our paint manufacturing facility is situated in Provence with an application workshop where our catalogues and hand-painted samples are made and where our wallpaper is printed. Through its core values of quality, authenticity and generosity, Ressource is a 100% French family house which unites a unique community of customers in their search for ethics and aesthetics, tradition and innovation. Professional expertise at your fingertips. Professional expertise at your fingertips. 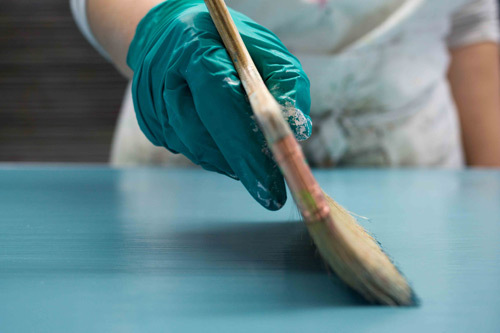 Our long lasting experience in manufacturing paint for professional customers has enabled Ressource to bridge the gap between paints intended for painters and decorators – considered “too technical to use” – and paints intended for “mainstream” consumers. Ressource has always sought to reconcile technique with aesthetics and widen access to “the art of colour” through high quality expertise. Through tradition and experimentation, Ressource’s approach is innovative, technical and creative all at once. Excellence in art crafts and cutting-edge research serve numerous original and modern artistic visions. Not only is Ressource a manufacturer, we also have our own laboratory. Our engineers can experiment to their heart’s content thus creating new shades and manufacturing processes to ensure ease of use and stability that older techniques did not allow. .